From Rosie Huntington-Whiteley to Emily Blunt, celebrities aren't shy about wearing the sometimes-controversial trend that pops up every winter: Ugg boots. Clearly, celebs aren't the only ones who wear them year after year. Amazon updates its best-sellers section hourly, but the number one spot in the women's shoe category right now belongs to Ugg boots. Hardly surprising, right? On Amazon, the Ugg Classic Short II Boots have over 360 positive reviews, making them the perfect cozy gift for anyone on your holiday list. Or you can emulate Huntington-Whiteley and try out the brand's heeled booties. We have a feeling you'll start seeing more of them this winter. 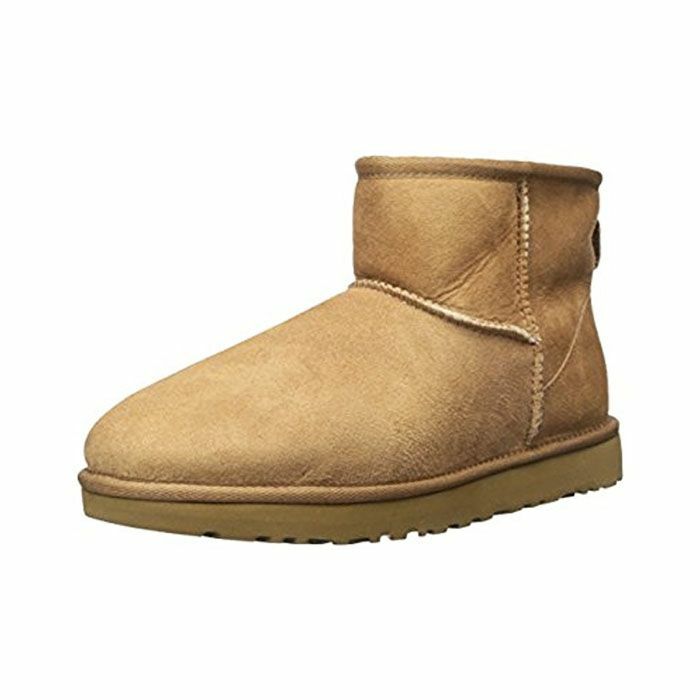 Scroll down to shop Ugg boots from Amazon. Next up, our edit of the best party dresses.